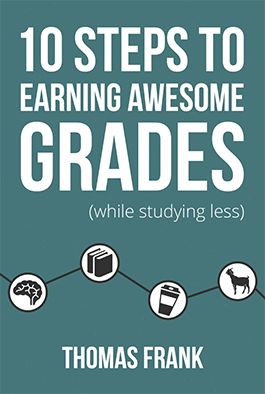 The Quiz-and-Recall method of studying is seen as one of the best ways to study. Rather than mulling over pages of notes and textbooks for hours, you should be actively making yourself answer questions about the material. Today I’ll talk about a program called Anki, a flashcard program that uses spaced repetition to help you do this. It’s become one of my favorite study tools. Firstly, let’s go over what the concept of “spaced repetition” is. Spaced repetition is a learning technique based of the psychological spacing principle. Basically, people remember things more successfully by reviewing them a few times over a long time interval rather than trying to cram them in during a short interval. The idea behind spaced repetition is to have you review material at the moment you’re most likely to forget it; therefore, the more confident you are about a question or concept, the longer it will be before you review it again. Spaced repetition has mainly been implemented into learning via flashcards. Anki is a program that computerizes the process, taking out much of the administrative work like organizing cards and scheduling the correct times to study. The program stores all the cards you’ve created in organized decks. You can also import shared decks that other people have made, of which there are thousands. When you start reviewing a deck, Anki will give you a user-specified number of new cards to review for the day as well as displaying cards from previous sessions that are scheduled to be reviewed again. This way, you are constantly going over new material while solidifying questions you’ve already seen. When you reveal the answer to a flashcard, the program will ask you to rate how confident you were in answering it. The less confident you were, the sooner it will show you that card again. If you didn’t know the answer at all, Anki will show it again during the same review session. Anki is available for Windows, Mac OSX, Linux, FreeBSD, iPhone, Android, and Nintendo DS. It’s also available online through AnkiOnline, so everyone should be able to use it. The Anki homepage has a video detailing the setup process, so go watch it and start studying smarter! This post was written back in 2010. I’ve updated it a bit; however, you’ll find a much more thorough overview of Anki (and it’s newer features) over at my roommate Martin’s language-learning blog Powlyglot.